Elegant handmade crown soap would be a perfect for a quick hand wash or a fragrance bath. 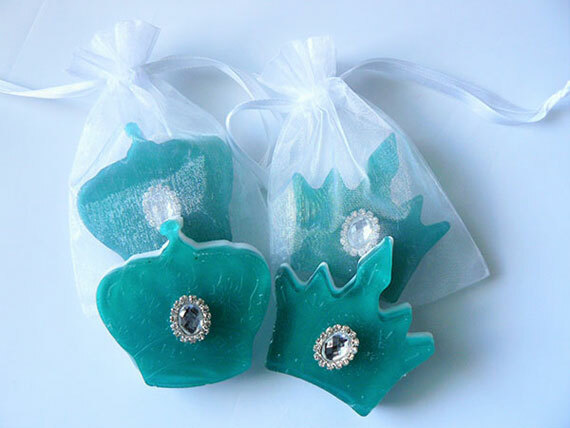 You will enjoy multi style crown soaps decorated with pretty rhinestone buttons with fragrance. It will add a perfect touch for your baby shower, bridal shower, wedding or birthday parties. Each soap comes with organza bag and will be a ready to serve gift favor or elegant table decor. Matching Personalized labels are available in additonal of 50 cents extra.